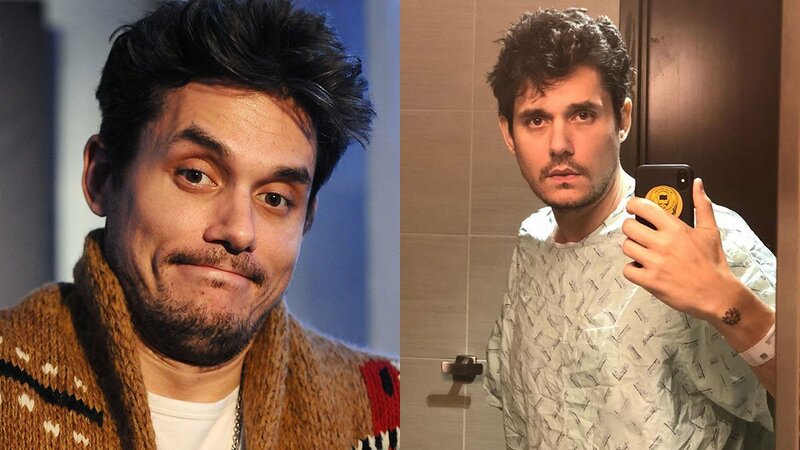 John Mayer's body is a wonderland and, apparently, so is his face. The 40-year-old musician posted two videos to his Instagram stories, during which he delved into the mystery of how his skin stays so smooth. "Good genes or good docs?" he asked his 2.7 million followers. He then stared into the camera and said, "Here, let me tighten my face all the way up." 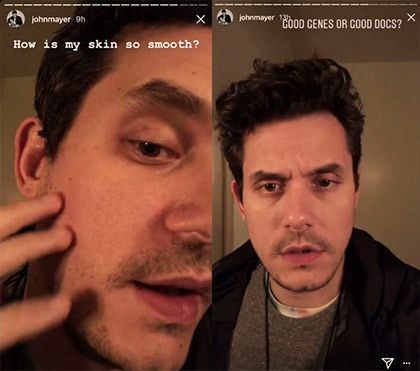 In a second post, Mayer zoomed closer up to his face, showing off some slight stubble and asked, "How is my skin so smooth?" before revealing the reason why his looks have defeated the laws of gravity. "I don't smoke, and I don't drink anymore, and I don't go out in the sun, and I don't eat, and I don't love anybody," he said. Sure, the singer was (probably?) (maybe?) joking as he tends to do that a lot on social media. If you follow him on Twitter, then you'll already know that you can't take what he says too seriously.